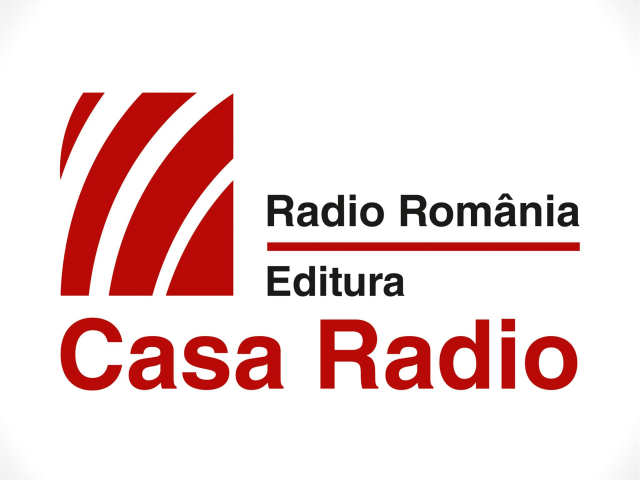 During the George Enescu International Festival, Casa Radio Publishers released new music CDs for music lovers, focusing on Romanian composers and performers, with recordings old and new taken from the Radio Romania tape library. One of them is “George Enescu. The Composer,” a double-CD that brings together 4 of Enescu’s works: Symphony no. 3, the poem “Isis” and Symphonies no. 4 and 5. The recordings on this album, made in 1994-1998, feature outstanding performances by conductors Horia Andreescu, Camil Marinescu and Corneliu Dumbraveanu, the tenor Florin Diaconescu, the Radio Romania National Orchestra and Radio Romania Academic Choir. Another exceptional launch by Casa Radio Publishers was Pascal Bentoiu’s “Enescu’s Work in Brief,” comprising a book and 4 CDs, and offering an overview of Enescu’s work, in an attractive manner, by the most prestigious commentator of George Enescu’s music. Composer and musicologist Pascal Bentoiu wrote these commentaries in 2005, on the commemoration of 50 years since Enescu had passed away. An analyst of Enescu’s works, Pascal Bentoiu is also the one who wrote the instrument sheet music for Enescu’s Symphonies 4 and 5, which the author died before finishing. They were presented during the 1998 George Enescu International Festival, performed by the same Radio Romania National Orchestra, conducted by Corneliu Dumbraveanu and Horia Andreescu respectively. That performance of Symphony no. 5, conducted by Horia Andreescu, also features the Radio Women’s Choir, conducted by Aurel Grigoras, with the tenor Florin Diaconescu as a soloist. Also, he reenacted, based on existing sketches, the vocal-symphonic poem “Isis” by George Enescu. Here is the Casa Radio musical editor Tiberiu Comandasu, speaking about this volume: “The introduction is friendly, made up of concise texts, which manage to highlight several fundamental musical principles, enabling those who love Enescu’s music access to its basic principles and theory. The volume also includes elements that render the specific context and atmosphere of Enescu’s creation. One example would be Oedipe at the 1958 George Enescu Festival. In early October 1958, after several glorious performances at the first edition of the Festival, the opera Oedipe had its official premiere, in the presence of the Central Committee of the Communist Party, headed by the sinister Gheorghe Gheorghiu Dej. I remember, says Pascal Bentoiu, that we, the poor musicians, composers, critics and other strange beings like that, were exiled in the last gallery of the Opera, as all the other galleries and balconies had been taken by members of the communist party and of the political police, the Securitate. While with the previous editions, the atmosphere had been one of celebration, with prestigious guests attending such as Yehudi Menuhin, David Oistrach, Nadia Boulanger, this time everything was ice cold. The comrades did not really understand what that was all about, and our applauses, from the second gallery, had no consistency. In brief, they did not like it, they were actually disturbed by it, in particular the reference to deities in the fourth act. But they really hated the final reconciliation, the idea of guilt being erased and forgiveness prevailing. And so, the performance was banned. A bunch of ruthless criminals banned a masterpiece. And it stayed banned for three years, until some changes were brought to the libretto, and so, also thanks to Brediceanu’s persistence, the performance was eventually resumed. This is just one example of the atmosphere at the first performances of Enescu’s Oedipe." Another release by the Casa Radio publishing house focusing on Enescu’s creation is a CD titled “Marin Cazacu – Dvorak, Enescu”, which includes Symphonie concertante opus 8 for cello and orchestra, which highlights Enescu’s romantic side. Performing is the famous cellist Marin Cazacu, alongside the National Orchestra, under the baton of Horia Andreescu.